» A/R Avatar Director app – express yourself in A/R! Record your voice. Animate your avatar. Express yourself in A/R. 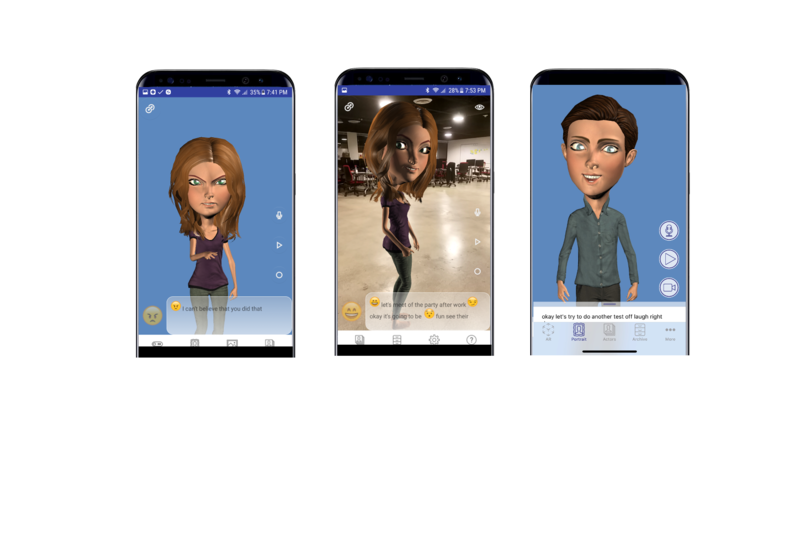 Our app allows you to record your voice then automatically create an animated, expressive avatar in A/R that augments your words with nuance and emphasis. Go into augmented reality! Express your avatar in an environment that is unique to you. Interact with your avatar by gazing at the environment. Talk to your avatar. Record the video and share it on social media platforms. iPhoneX users can use the TrueDepth sensor to mimic their own faces in addition to making the avatar act out what is said. Go to www.embodydigital.com for more information about our company. You can tune your animation by specifying the emotion (happy, sad, angry, etc. ), the intensity, and even communicate with nuance such as sarcasm. The avatar will use it’s entire body; face, eyes, gestures and the synchronicity of movement and speech that people use during conversational face-to-face communication. Add gestures that give your expression meaning: airquotes, thumbs up, pointing and more! 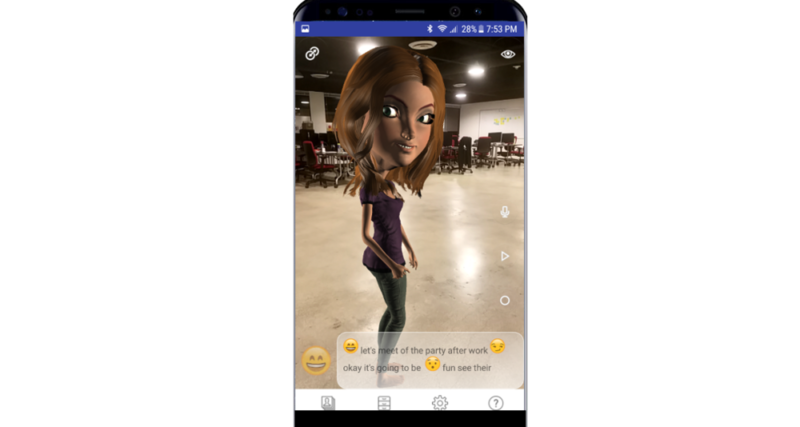 The app that allows you to communicate with the bandwidth of a face-to-face conversation in augmented reality! Far beyond what is possible with emoticons, emojis, stickers or static images. Our app allows you to communicate with nuance and tone. 3. Drag the emotional emoji onto your words or set the overall emotional tone for your communication. 4. Press the chat button to see your animated emoji. 5. Go into augmented reality! 5. Press the share button to send your animation to your friends. Embody Digital: the platform for the next generation of chat, bots and AI. COPYRIGHT 2018 - Embody Digital Inc.